The Chester Beatty’s Learning and Education Department offers a wide range of ways to learn about and engage with our collections. Through our vibrant and exciting programme of events and professional training for teachers, educators and creatives, we offer opportunities to explore world cultures, as found in Chester’s Beatty’s Islamic, East Asian and European collections. Intercultural dialogue and learning plays a key role in the museum’s mission and fosters dialogue with the communities as represented in the collections. The Learning and Education Department has worked for several years exploring ways to engage primary, post-primary schools and teachers with this unique collection and has initiated an 18 month project to research, develop and build its first Intercultural Museum programme for schools (2018-2020). As part of this process, the Chester Beatty has invited the largest teaching college in Ireland, Mary Immaculate, Limerick, Maynooth University, the Intercultural Education Service (Education Authority of Northern Ireland) and UK Heritec Education Consultancy to partner and develop the programme. The project is funded by Creative Ireland and the Irish Human Rights and Equality Commission. We have a wonderful programme of events as part of the Miniature Masterpiece: The Coëtivy Book of Hours exhibition. Highlights include a wonderful week of creativity for teens with two local creatives 16-20 July suitable for ages 12-14 and 15-17 years. Well-known embroiderer Phil Stewart will work with adults to create animals, flowers and birds on the 28-29 July. You can also listen to speakers talk about the Chester Beatty’s collection at lunch time on the 9 August and 23 August at 1.10pm. Teens can learn about 3D printing on the 7-8 August with engineer Colin Keogh and create their own Chester Beatty-inspired prints. We will celebrate Heritage Week from the 18 August with a number of workshops for teens with Irish animators Paper Panther. Don’t forget our popular drop-in drawing on the 12 August 1-3pm and Qi Gong on the Rooftop Garden on the 11 August at 12 noon. Storyteller Roisin Murphy will delve in to tales for families on the 4 August and 18 August at 2.30pm. Most of the events require booking and you can reserve your place on www.cbl.ie under Book Workshops Here. The Chester Beatty is delighted to co-host a workshop for children with the Dublin Greek Film Festival, supported by Dublin Culture Connects. Led by the Dublin Greek Film Festival team, this art, film and writing activity workshop will educate the kids living in Ireland about the refugee kids who live in Greece. The event will kick off with the short movie ‘Painting…’ followed by a discussion and a drawing session where the kids will be asked to make their own drawing with a message for the kids that live in Skaramanga refugee camp in Greece. Our aim is to post those drawings to Greece. This event is organised as part of Dublin City Council’s Cruinniú na nÓg. Our line-up for May-August is now available online as part of Miniature Masterpiece: The Coetivy Hours (9 March – 2 September 2018). We have a number of wonderful events inspired by this 15th century illuminated prayer book. Join us for workshops for children, teens and adults, lunchtime talks, music performances and film screenings. Please note that booking is required for the workshops. Highlights include art workshops for adults exploring patterns and colours as part of the Bealtaine Festival with Debora Ando and embroidery with artist Phil Stewart. We celebrate National Drawing Day with our team of art facilitators, visitors can experience our drop-in drawing sessions with Roxana Manouchehri on Sundays from 1-4pm and we will be showing films Once Upon a Time in the West and Finian’s Rainbow. (booking required for the workshops). The Library is delighted to welcome author, Middle East cultural expert, Arabist and BBC broadcaster this Thursday 26 April 2018 @ 1.10pm to give a talk Islam and Christianity: Divinity Shared or Divided?. Free no booking required. Diana will also travel to Cork Book Festival in Triskel Arts Centre to talk about Merchant of Syria, her latest book. She is an author, Middle East cultural expert, Arabist, BBC broadcaster and journalist. Her work has appeared in the Guardian, the Financial Times, the Sunday Times, the Daily Telegraph and Al Araby. She graduated from Wadham College, Oxford, in 1977, where she studied German and Philosophy/Arabic, then went on to work for the British Government Communications Headquarters (GCHQ) and Racal Electronics Plc as an Arabic consultant. In 2005, Diana purchased a 17th-century courtyard house in the Old City of Damascus, which enabled her to become deeply embedded in Syrian society and culture. Diana has returned six times since the Rebellion began in March 2011 and her links inside the country are deep and ongoing. Celebrate the New Year with our public programme of events this January-April 2018 in the Chester Beatty Library. Why not join us and learn about our collections? We have a number of art and creative workshops for children, teens, adults, families and friends as well as films, lunch time talks, music performances, storytelling to name but a few. Please note that booking is required for the workshops. Our exhibition Francisco Goya: The Disasters of War closes on 21 January 2018. Dr Peter Cherry, Trinity College Dublin will talk about Goya’s Disasters of War on Thursday 18 January at 1.10pm. Other highlights include Chinese New Year (16 February – 4 March) and we have a number of events booked as in collaboration with the Dublin Chinese New Year Festival for adults, children and teens. Professor Yan Yi Blake will talk about Chinese New Year traditions on Saturday 24 February at 2pm as part of the Dublin Chinese New Year Festival, supported by the Asia Market. The Experience Japan Festival makes its annual return in April and the Library will collaborate with the Japanese Film Festival and Japanese Embassy for a film screening on Sunday 15 April at 2pm. Check out our September-December programme online and join us for a series of events including art and creative workshops for children, teens, adults, families and friends as well as films, lunch time talks, music performances, storytelling to name but a few. Our upcoming exhibition Francisco Goya: The Disasters of War is from the 6th October 2017 – 21 January 2018. Highlights include art workshops for adults exploring Goya-inspired techniques using light, shadow and shade with artist Lorraine Lawlor, a portrait workshop with Roxana Manouchehri, screenings of contemporary Spanish films such as Woody Allen’s Vicky Cristina Barcelona, (booking required for the workshops). Other events include Culture Night on Friday 22 September (open until 10pm) with storytelling for families at 6.15pm and adults at 8.15pm led by renowned artist Xanthe Gresham accompanied by musician Arash Moradi. There are a number of festival-related celebrations throughout the calendar including the Mid-Autumn Festival in partnership with Asia Market, Dublin Arabic Film Festival, Diwali concert with the Indian Classical Music Society of Ireland, Dublin Greek Film Festival and Georgian Youth Ensemble Mixed Melodies for Christmas. You can find more details of these events here. The month of May is upon us and the Chester Beatty Library is celebrating the annual Bealtaine Festival, celebrating creativity as we age. This month we will launch a newly designed tour programme, Conversations on Art, designed for people living with dementia and their loved ones. Visitors are invited to join us for a cup of tea/coffee in the Silk Road Café, where everyone can relax and enjoy a light conversation in the contemplative and airy surroundings. In the galleries, tours aim to inspire and entertain with a combination of information on the collection, and reflections on visitor’s own impressions, opinions and interests. These tours are held once a month with rotating themes. 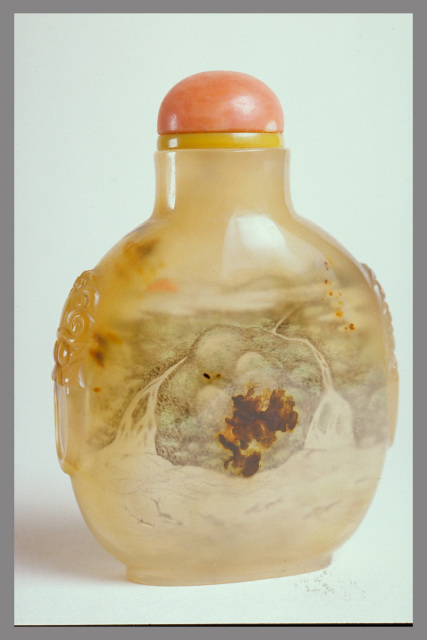 On Monday 29 May we will explore symbols in Chinese art. Our Guide Joan, will take us on a journey through imperial China and unfold hidden meanings of colours, shapes and icons as seen in the galleries. Participants are encouraged to contribute with their reflections and observations. More tours are scheduled for June, July and August. The Library is part of the Azure Network, an association of cultural organisations and aims for a deeper involvement by cultural institutions for those living with dementia and their family members or carers. It is based on the Meet me at MoMA programme, developed and based at New York’s Museum of Modern Art. The tours are free but limited to a maximum of ten participants. For further details and bookings please contact Heidi on tel: 014070766. Our line-up for May-August is now available online as part of The Art of Friendship: Japanese Surimono Prints exhibition (3 March – 27 August 2017). We have a number of collaborative events kindly supported by the Embassy of Japan in Ireland. Join us for workshops for children, teens and adults, lunchtime talks, music performances and film screenings. Highlights include a haiku for beginners workshop with Eriko Tsugawa (Bealtaine Festival celebration), a screening of Hidden Fortress by Kurosawa, Scorcese’s most recent film Silence, popular Japanese storytelling and origami for families, as well as a series of Japanese art and music-related events (booking required for the workshops). See What’s On for more details. For our younger audiences, we have our annual Silk Worm Summer Club Special in July – Japanese Summer – for children aged 6-11 years. Teens aged 12-17 years will work with Maker-in-Residence Corinne Okada Takara from the USA and local artist Lorraine Lawlor to create their own Japanese and Celtic-inspired friendship knots and manga creations. See our Teen Lab page for more details. Other key events include our new dementia-friendly tours Conversations in Art starting at the end of May; Javanese music with local orchestra Gamelan Jam Delepan, National Drawing Day and monthly lunchtime talks and in-focus tours. See What’s On for more details. Spring is here and we have a great line-up of events as part of The Art of Friendship: Japanese Surimono Prints exhibition (3 March – 27 August 2017) as well as workshops for children, teens and adults, lunchtime talks, music performances and film screenings. Highlights include a Japanese printmaking demonstration with Hiroko Imada to celebrate the Experience Japan Festival on Saturday 8 April (free, no booking required) and embossing workshop on Sunday 9 April (booking required). See What’s On for more details. Teens will work with the Silk Road Cafe and discover Middle Eastern food as well as how to make kofta (savoury meat, cheese or vegetarian pieces). Families are welcome to watch an all-time favourite Peter Pan on Sunday 30 April, 2pm (free, no booking required). We have an action-packed summer programme and watch out for our pending May-August 2017 newsletter out soon.